If you're a CPAP user who has ever struggled with compliance, you might have wondered if you're the only one who's ever experienced this difficulty. I can tell you from personal experience, you're not the only one. While I'm not a CPAP user myself, I've talked to hundreds of CPAP users who have chosen, at one time or another, to forego CPAP therapy for a more "normal" bedtime experience. The primary reason for non-compliance is discomfort. Of course, there are some other reasons, like lack of equipment knowledge, ongoing expense, inconvenience, the belief that CPAP therapy isn't critical. The list goes on. There's lots of data on the subject of CPAP compliance, and it appears that compliance rates are often demonstrated to be between 60% and 85%. I haven't seen any studies that have demonstrated long-term compliance above 85%. This means that at least 15 out of 100 people don't use CPAP even though it has been prescribed to them. One study conducted in 2002* showed the 85% compliance rate when testing almost 300 patients over a 6-month period. The compliance rate of 85% was achieved, though, through a study design that doesn't necessarily reflect the real world. In particular, patient education, a great deal of follow-up, and free equipment was a part of the program. Not all OSA patients get this type of personalized instruction and integrated care. Subjects of the study received training about obstructive sleep apnea and CPAP machine usage prior to initiating therapy. Once therapy began, subjects made daily follow-up phone calls to a CPAP clinician during the first week to provide feedback and to obtain help and advice. Subjects were seen by the CPAP clinician at 2 weeks, 4 weeks, 3 months and 6 months. During the visits, issues like CPAP mask fit and discomfort were discussed and resolved. The study design may suggest that CPAP therapy isn't necessarily a "set it and forget it" type of activity, but it's impossible to know that based on this study alone. The definition of compliance might change from one study to the next. In this particular study, the study authors kept track of CPAP machine usage in hours per day, with a minimum of 2.5 hours per day indicating the lowest level of compliance. Any CPAP machine usage less than 2.5 hours per day was not counted as compliant usage. At 6 months, there was a 92.3% compliance rate when using the 2.5 hours per day standard, and a 78.5% compliance rate when using the 4.5 hours per day standard. These study participants were definitely not going it alone. They were getting a lot of support and help when necessary. As part of a study, they also probably felt a bit more motivated to stick with the program. It's entirely possible that the phrase "we change what we observe" applies to a study like this. The study revealed a few other interesting results. I believe that a study like this one shows that compliance rates among CPAP users can be quite high. It does leave one to wonder, though, what the "real" rate of compliance is in the "real world". Based on work here at CPAP-Supply.com, it's hard for us to know for sure. 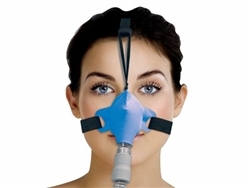 We like to think the CPAP users who order from us are pretty much compliant with therapy. It's easy for us to assume this, since our customers are making an effort to buy the equipment and they're paying out-of-pocket for it. It's not purchased for them, and it's not given to them for free. How many customers are making this effort, and spending their hard-earned money on CPAP equipment, just to stick it in the closet? Perhaps CPAP users who shop for their CPAP equipment online are part of the more compliant crowd. Maybe this group even exceeds the 85% compliance rate from the study above. It would be interesting to know for certain, and I think this is a great question for a new study. If anyone out there wants to take that question and run with it, please do so! If you're new to CPAP therapy, do your research. Learn as much as you can about obstructive sleep apnea (OSA) and the various types of CPAP equipment you'll be needing to use - CPAP machines, CPAP masks, and other CPAP parts and accessories. Talk to your prescribing doctor about your sleep study results and what they mean. If you're not new to CPAP therapy, and if you find it difficult to comply 100% of the time, and if you haven't really explored the subject in depth, it's not too late to educate yourself. Are you using a nasal mask when you should be using a full face mask? Do you know why this simple mistake could make your CPAP therapy completely intolerable? If you don't, you should find out. Call us. We'll tell you! Once you begin using CPAP therapy, don't assume the current condition can't get any better. Follow up with your doctor to tell him how you're feeling. Maybe your pressure needs to be adjusted. Follow up with your supplier to get advice on machine usage, and mask fit issues. Check out your own compliance data if you have a CPAP machine that records it. If you continue to feel sleepy during the day, or if you're continuing to keep your bed partner awake with snoring or gasping, your therapy probably isn't working. Follow-up is necessary in these cases. Investing in an inexpensive pulse oximeter that records your blood oxygen saturation and heart rate throughout the night is also a good way to follow up to see if your CPAP therapy is working for you. Time is money. And money is money. I'm sure you want to save both, and we can help you do that. I know we're not the only CPAP equipment supplier online, but I also know we have absolutely outstanding prices (with a 2-week price guarantee) and we make it as easy as possible for you to order the equipment you need. When it comes to compliance, the bottom line is this: if you've been prescribed CPAP therapy, you really need to do everything you can to try to comply with that therapy. Be part of the 85%. Your spouse will thank you. Your kids will thank you. Your employer will thank you. You'll thank yourself.